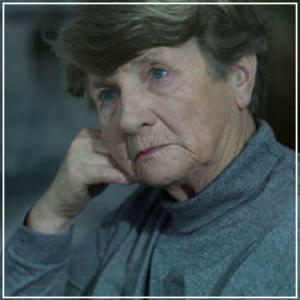 Nursing home residents across the country are susceptible to abuse and negligence. Oftentimes, these incidents can be the unfortunate result of understaffing and overworked employees. Yet, putting our elderly in danger under any circumstance is unacceptable. Approximately 40 nursing homes in Connecticut were cited and fined for lapses in care in 2018 alone. What occurred in some of these instances? In February 2018, a resident at St. Camillus Center in Stamford died after being found unresponsive. The resident, who had lung cancer, was found by staff on February 16th without a pulse, yet video footage shows CPR was not administered for 10 minutes. The resident had also not been checked on for nearly 12 hours. St. Camillus Center was fined $6,000 by the state Department of Public Health and the three staff members involved were terminated. In April 2018, a resident at Gardner Heights Health Care Center in Shelton choked on a three-inch lasagna noodle. According to the care plan, this resident was supposed to be supervised while eating, but the nurse aide was helping someone else when the incident occurred. The resident survived, but Gardner Heights Health Care Center was fined $3,480. In June 2018, a resident at Jewish Senior Services of Bridgeport died after falling from bed. A registered nurse moved the resident without help, although the care plan required two staff members for mobility. The resident, who had multiple sclerosis, suffered spinal cord trauma, intracranial hemorrhage and two femur fractures. Jewish Senior Services was fined $3,060. In July 2018, a dementia resident at Golden Hill Rehab in Milford wandered away from the facility. The resident, who was a known elopement risk, left at 3:30pm and returned at 5:45pm by a staff member who saw the resident walking about a mile away. Previous attempts to leave occurred on June 10th, 11th, 13th, 18th and 29th. Golden Hill Rehab was fined $1,080. In August 2018, a Cassena Care at Stamford resident developed a pressure ulcer on the lower back and skin tears. When the ulcer was diagnosed, staff were told to limit the resident’s sitting time to one hour but a week later, the resident was left in the same position in bed for four hours. As a result, Cassena Care at Stamford was fined $3,060. We believe these incidents are completely unacceptable. You’ve put your trust in a nursing facility and its staff to treat your family member as one of their own. When that trust is betrayed, the nursing home should be held accountable. Our dedicated team of nursing home negligence lawyers are here to help win justice for your loved one. If you suspect elder abuse at a local nursing home, report it to the state Department of Public Health and contact our attorneys to pursue a claim.